30 years ago Clare Sawers recognised the benefits of her husband becoming a member of Lady Grover’s Fund. Living far from her own family, with two young boys and an Army husband who was often away, Clare knew that if she had an injury or fell ill she would be unable to take care of the children without additional help. Being a beneficiary of Lady Grover’s Fund gave her reassurance that there would be financial support available to help in such circumstances. Lady Grover and her benefits sat on the back burner providing comfort in the knowledge that ‘she’ was there if Clare needed her. 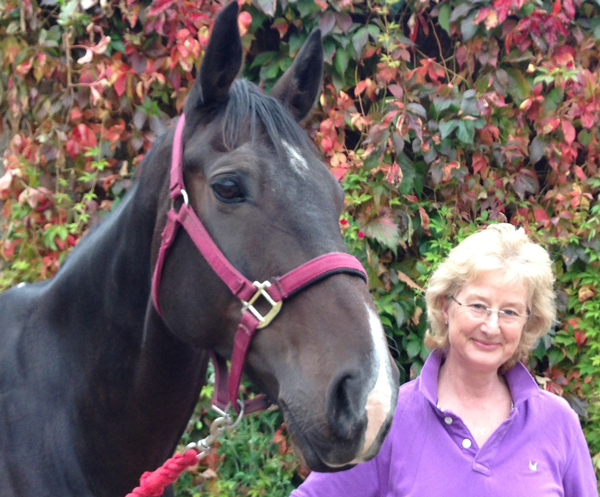 Fast forward 25 years and Clare, a keen horsewoman, was thrown from her young horse. Clare was riding in a manège when the 4 year old horse took fright and in doing so bucked her up and out of the saddle. Clare was badly winded and knew instantly that she had sustained damage to her chest. After being ‘blue lighted’ to A&E it was confirmed that she had broken 4 ribs and sustained deep bruising to her lower back. Anyone who has broken ribs will know that there is nothing that can be done and there is almost nothing that you can physically do – breathing, speaking, laughing, coughing, sneezing, lifting, getting up, lying down and sleeping are all trials of everyday life. Lady Grover’s Fund was delighted to be able to assist with Clare’s domestic help expenses, thus enabling her to rest and recuperate. Eight weeks on, the ribs were mending and the son with the broken ankle had returned to work (albeit on crutches). “I am so very grateful to Lady Grover’s Fund; it was a great weight off my mind knowing that the domestic help was taken care of”.